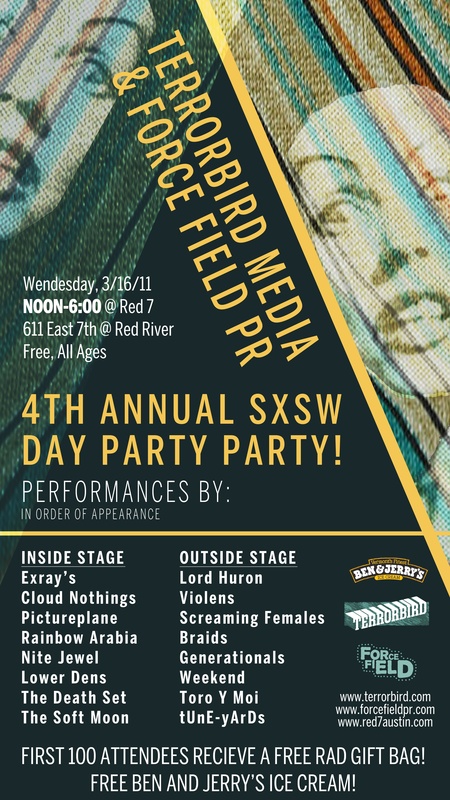 Force Field PR & Terrorbird Media will be collaborating to present their 4th annual SXSW day party from noon to 6 p.m. on Wednesday, March 16th. No RSVPs or wristband will be needed, as the event is free to all. Red 7 will serve as the hosting venue. Stream the party playlist here.